UFO SIGHTINGS DAILY: Giant UFO Over Russia Causes Locals To Panic, Aug 2016, Video, UFO Sighting News. 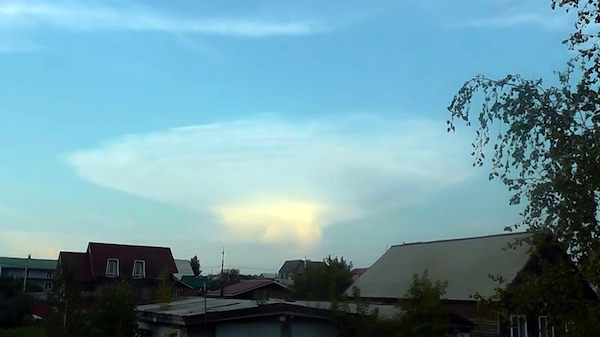 Giant UFO Over Russia Causes Locals To Panic, Aug 2016, Video, UFO Sighting News. 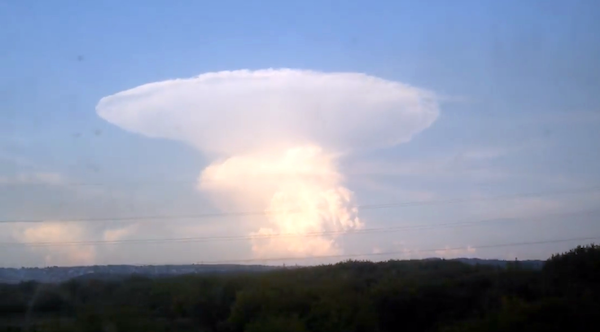 This UFO cloaked in a cloud was seen over Russia this week and have the local residents a fright. The Sep 1957 UFO sighting by a US solider with a camera confirms this. Back at US Army Ft. Belvoir, Virginia he witnessed a metal ring UFO that slowly built a white cloud around it over a few minutes. (Click here to view). Therefore, the US military has known for decades that UFOs make clouds.